Endothelial cells form a single cell layer on the inner surface of all vessels of the cardiovascular system. These cells play a critical role in physiological regulation of the microcirculation as well as in the pathogenesis of microvascular inflammation. It is now recognized that endothelial dysfunction resulting from oxidative stress is an underlying cause of many vascular diseases. In addition, oxidant-induced endothelial dysfunction can impair microvascular function in several ways (Figure 1). 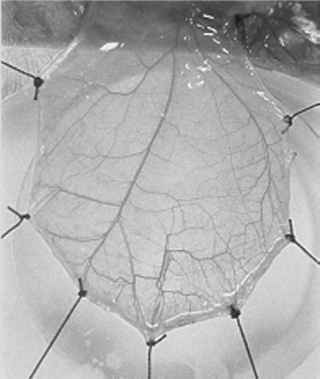 These vessels, which consist largely of vascular smooth muscle, regulate organ blood flow through alterations in vascular resistance (via changes in vessel diameter). In arterioles, oxidative stress results in a diminished response to endothelium-dependent vasodilators. This alteration promotes arteriolar vasoconstriction and decreased organ blood flow, which may exacerbate tissue injury. Impaired arterio-lar dilation is primarily due to oxidant-induced endothelial dysfunction rather than compromised vascular smooth muscle function. In conditions associated with oxidative stress, administration of antioxidants has been shown to preserve arteriolar responsiveness to endothelium-dependent dilators. In addition, oxidative stress may promote generation of vasoactive factors that promote constriction of arteriolar smooth muscle. Oxidative stress has been shown to increase fluid filtration across capillaries as well as to decrease the number of perfused capillaries. Evidence indicates that the higher rate of filtration under these conditions is primarily due to increased capillary permeability rather than elevated capillary hydrostatic pressure. The reduction in capillary perfusion after oxidative stress has been attributed to several factors, including capillary plugging by activated leukocytes as well as compression of capillaries due to increased interstitial pressure resulting from edema. Figure 1 Oxidative stress promotes microvascular inflammation in several ways, including (1) increased adhesion molecule expression that promotes leukocyte-endothelial cell adhesive interactions; (2) local generation of lipid inflammatory mediators, such as platelet activating factor and leukotriene B4; (3) decreased production of anti-inflammatory mediators, such as prostacyclin; (4) formation of proinflammatory chemokines and cytokines; and (5) inactivation of nitric oxide by superoxide radical. to the perivascular space, and increased vascular permeability within postcapillary venules. These inflammatory responses result from oxidant-induced endothelial dysfunction within these vessels. Venular endothelial cells have a particularly high capacity to generate oxidants compared to endothelial cells of arterioles or capillaries. Furthermore, release of oxidants from adherent leukocytes can markedly increase the oxidative stress to venular endothelium. Oxi-dants have been shown to play an initiating role in the development of these inflammatory responses in a variety of conditions. For example, antioxidants attenuate leukocyte adherence and the increase in vascular permeability following I/R.